Check if shipping is the same as the billing address. Check if you would like to provide an alternate shipping address. Yes, I am an affiliate employee with 24 Hour Fitness or Bally Total Fitness. After registering, you will be required to provide your employee credentials the first time you log in. YES, sign me up for Dynamix Music catalog. It's free and you can unsubscribe at any time. 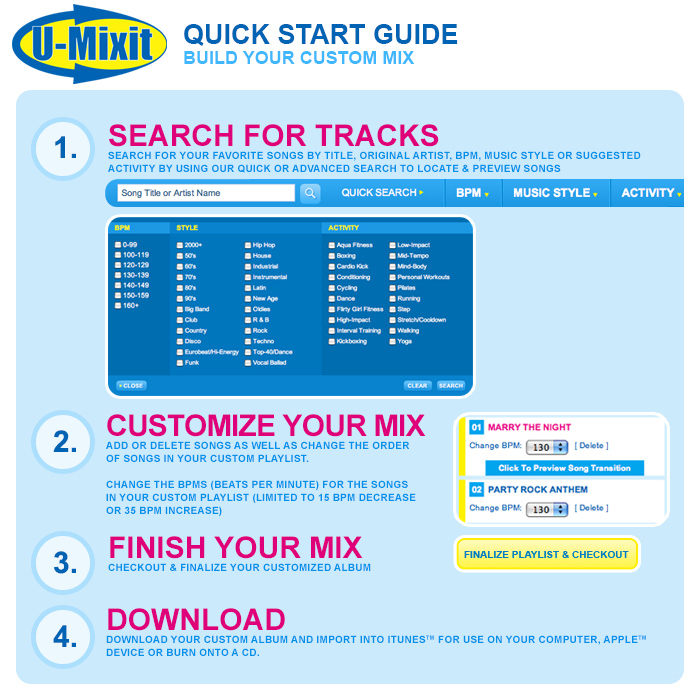 YES, sign me up for Dynamix Music and U-Mixit e-mail newsletter. Keep informed about new releases, specials, closeouts, and upcoming events by joining our email mailing list. We respect your online time and privacy. If you prefer not to receive further e-mails from us, you may unsubscribe anytime. Questions? Call the Dynamix Music support team at 1-800-843-6499.